Polarity is a property of bonds which arises from the electronegativity of an atom. 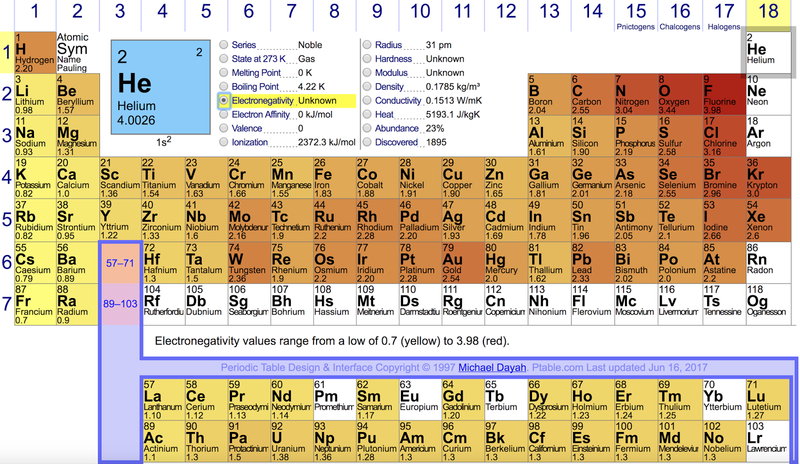 Electronegativity is rudimentarily defined as the strength with which atoms/elements attract electrons. It is usually measured on the Pauling scale (shown below), named after famous Chemist Linus Pauling. Bonds can either be defined as polar or nonpolar bonds. If you bond two elements which have similar electronegativities or are the same, then you have a nonpolar bond. If you have atoms with vastly different electronegativities, then you have a polar bond. 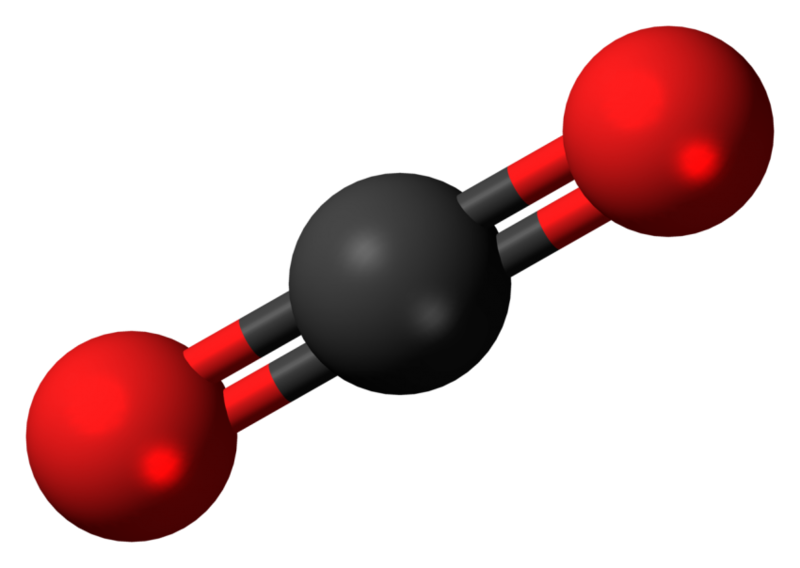 Let's take a look at an example of a nonpolar bond, O2, and a polar bond, HF. Since the two atoms are identical, they attract the electrons with an equal force. Therefore this would be a nonpolar bond since they both have the same electronegativity. The earlier definition does leave some ambiguity for how much is considered negligible. When is the difference small enough to consider the bond nonpolar? Generally, when the difference is less than .5 on the Pauling Scale (which only goes from 0-4), you consider the bond to be nonpolar. For reference, biological C-H bonds are considered to be nonpolar. The HF bond shown above is a polar bond because the electronegativity difference is great enough to create different poles and charges. These partial charges allow for the molecule to form special hydrogen bonds with other HF molecules/polar molecules and thereby allows these substances to have properties different from their nonpolar counterparts. Now let's look at examples where there are more than two molecules involved with bonding (H2O vs. CO2). Once you get more than two molecules, structure begins to play an important role for determining whether a molecule will be polar or nonpolar. Even if a molecule has polar bonds, it can be nonpolar if the charges "cancel out". If the bonds are not opposite of each other in the structure (based on the arrangement of the bonds and the lone pairs in space), then the molecule as a whole is polar. This is why water is polar. 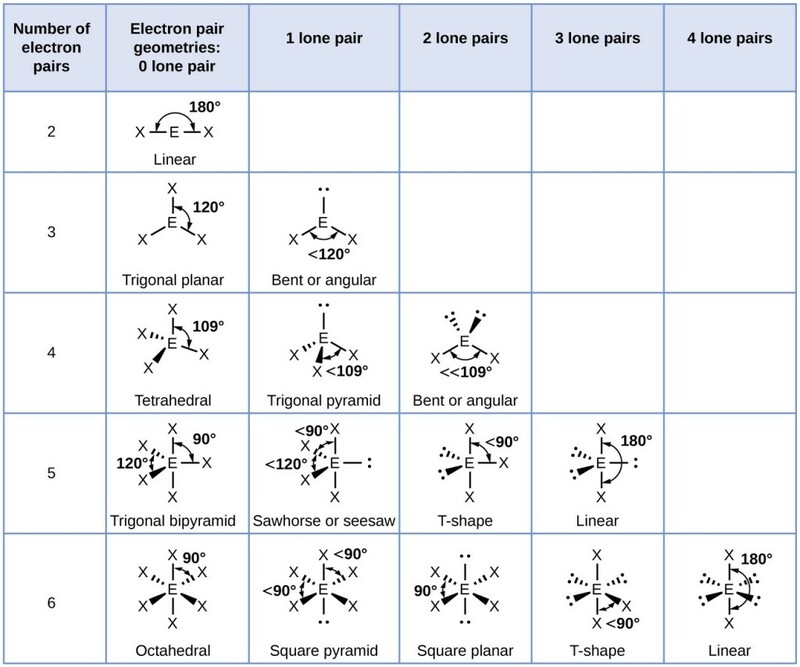 Those extra lone pairs add electron-electron repulsion which cause a bent structure. Therefore the polar bonds to not cancel out and your result is a net dipole. CO2 though is an example of a nonpolar molecule. Is CH4 Polar or Nonpolar? CH4 is nonpolar because all the atoms around the central element are equivalent and there are no lone pairs on the central atom. Is CH2Cl Polar or Nonpolar? Polar. The reasoning is the same as CH3Cl. Is CCl4 Polar or Nonpolar? CCl4 is nonpolar because all the atoms around the central element are equivalent and there are no lone pairs on the central atom. Is SO2 Polar or Nonpolar? SO2 is polar because it contains lone pairs around the central atom. While it may seem similar to CO2, SO2 is different in that in needs to have six valence electrons in order to be electrically neutral vs. the four with carbon needs. Is H2S Polar or Nonpolar? The reasoning is the same as NH3 and the structure is the same as H2O. Is SF4 Polar or Nonpolar? SF4 is polar because it contains one lone pair on the central atom. Is BF3 Polar or Nonpolar? Boron is an exception to the octet rule and does not need a full octet in order to satisfy its valence requirements. Therefore there are no lone pairs on the central atom and BF3 is a nonpolar molecule. Is CF4 Polar or Nonpolar? CF4 is nonpolar because all the atoms around the central element are equivalent and there are no lone pairs on the central atom. Is CH3OH Polar or Nonpolar? CH3OH is polar because there are different elements surrounding the central atom. (H vs. O) The -OH group also allows for hydrogen bonding, which actually increases the polarity of the molecule. Is CS2 Polar or Nonpolar? CS2 is nonpolar because there are no lone pairs on the central atom of the molecule. This is very similar to CO2.